Concealed Ducted Split air conditioning consists of an outdoor unit and an indoor unit, but the indoor unit is installed in the ceiling space instead of being hanged on the wall. Air is distributed from the indoor unit by duct to air outlets. 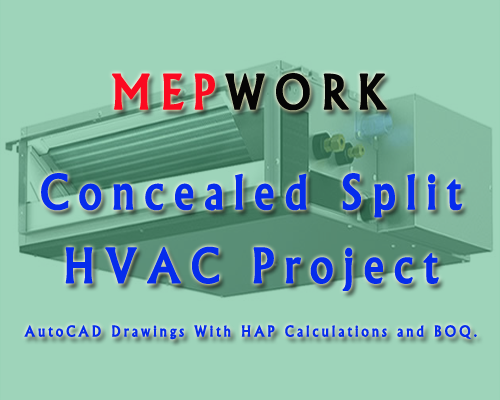 Download concealed ducted split HVAC project for a pharmaceutical company With HAP Calculations and BOQ. AutoCAD drawings, load estimation and bill of quantities are uploaded below, download for free, direct links.